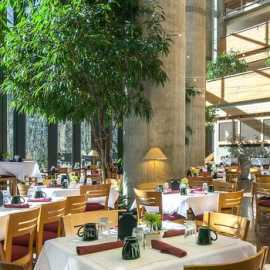 The Cliff Lodge's slope-side restaurant serves gourmet coffees, pastries, breakfast and lunch, year-round. 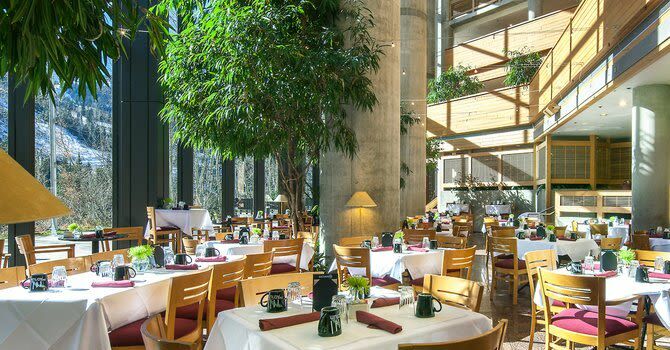 The Atrium offers a continental breakfast, espresso bar and lunch daily throughout the winter season and a breakfast buffet and Sunday brunch in the summer. Enjoy the new custom omelet and Belgian Liège waffle bars from Thu-Sun at breakfast and a delicious pasta bar, Thu-Sun, for lunch. 7 am - 10:30 am, 11 am - 3 pm Mon - Sun.